A new Stage Play and Costume Trunk is out now, with the plot being an audition for members of the blue team who are trying to win a competition! The set has received a new cool redesign, containing a basketball pitch, stands, a separate room and more! The Switchbox 3000 also contains some cool effects! The new play also means that a new Costume Trunk has been released, containing a surprising number of clothing items which can be purchased! The first page has four items representing the mascots/characters in the play. There are no secrets on this page. 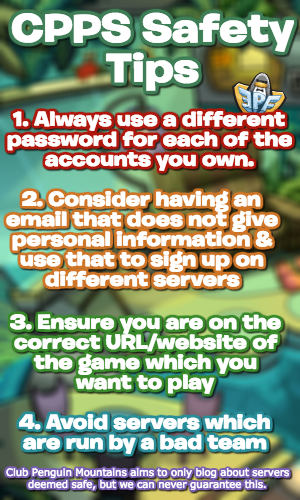 The second page also has no secrets, but it does contain five items which can be purchased! On the third page, you will also be able to purchase the Director’s Hat, but that’s all. You can check out the script and act the play at the Stage now! 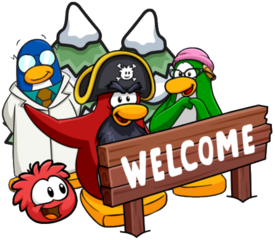 Thank you very much for reading, be sure to check back for more of the latest Club Penguin Rewritten news and guides!